13 floors, 144ft tall. And built by an Russian ex-gangster. Until the following winter when it was used for firewood. Which is a shame. Been there, enjoyed my time, it’s too bad such an amazing place full of history, culture and art has gone downhill so fast. Looks like half of it is unfinished. 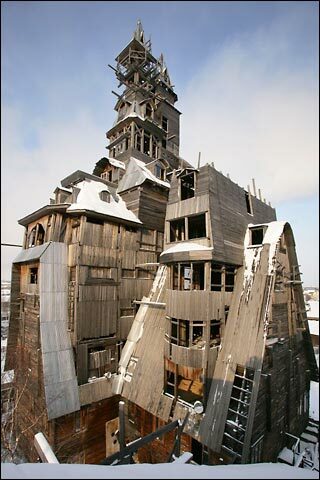 Russians love their wooden structures.